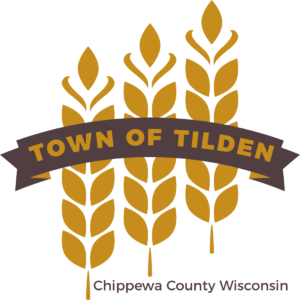 The Town of Tilden was formed by Chippewa County Ordinance on the 21st. day of Nov. 1882. Prior to this date, Tilden Township was part of the Town of Eagle Point. It is noted that Eagle Point is the oldest Town in the County of Chippewa. The portion of Eagle Point Township described as Township 29 range 9 West and the South one half of Township 30 range 9 West, was split off to become the Town of Tilden. In comparison Chippewa County was split off of Crawford County in 1846 and Wisconsin joined the union in 1848. The Town of Tilden was named after Samuel J. Tilden. Samuel J. Tilden was a candidate for the President of the United States of America. Mr. Tilden actual won the popular vote for the presidency but lost the election by the electoral vote. The first recorded meeting of the Town of Tilden is dated April 1884. In its first election Tilden had 143 voters. The voter numbers were high in 1884 as the Town of Tilden included an area that now makes up half of the Town of Woodmohr. The developed area of Tilden which consisted of a trading post, general store, saloon, creamery, blacksmith shop, school and church was platted in 1890. The first inhabitants of Tilden were Native Americans. The tribes in the area were the Chippewa, Sioux and Winnebago. In 1828 the Chippewa drove the Sioux out of the Town. A major trail used by the Native Americans ran through Tilden and connected the Chippewa River with the Red Cedar River. The location on the Chippewa River known as Chippewa City was on the East end of the trail and the location on the Red Cedar River known as Sand Creek was located at the West end. There was much activity in Tilden Township by the tribes and often the location known as Chippewa City, located in Eagle Point was a meeting point. The waterways were one of the main forms of transportation in the area so the first white settlers in the Tilden area were the French Canadians. They traveled the waterways and lived and traded with the Native Americans. Other transportation consisted of foot travel, horseback and oxen. The next settlers were then the Germans and the Norwegians. They settled in Tilden because of the rich farmland. In fact the first farm in Chippewa County was founded in Tilden. The first Farmer was George Meyer. Farming soon became a strong component of the Town of Tilden. Farm life and the tradition of helping one another was a strong part of that life. There are documented stories of how all of the neighboring farmers would come together to build a barn and house for a new farmer to the area. It was said that a new farmer would have farm buildings equal to that of his neighbors within the first year of settling in Tilden. This farm tradition of helping one another continued on and when the depression of the late 1800s hit, the local farmers would come together and buy a neighbors farm if he lost it to debt. They would then sell it back to the neighbor at their cost so the farmer could continue on with his livelihood. Farm life in Tilden was a hard life. While the fertile lands produced good crops drought and illness were also present. In 1880 through 1881 50 children died of scarlet fever and diphtheria. It is reported that the deaths came so fast that many of the graves did not have a chance to be marked. Still the farmers of Tilden carried on. The Tilden area continued to grow and prosper. Mail came to Tilden in 1873. George Walter built a mill on Duncan Creek and it supplied around 65 local farmers. In later years the dam was equipped to produce electricity and in 1915 electricity was provided by the Walter Brothers Dam on Duncan Creek. Tilden Creamery Company was formed in 1900. Town line Creamery located near the West end of Tilden Township by its neighboring Town of Howard was found on maps back to 1913. The farmers of Tilden formed Tilden Local Union No. 2433. This local union was formed to help market grain. So crop farming and dairy farming were the main staples for Tilden and are still very present today. The City of Chippewa Falls was established down the Chippewa River from the location called Chippewa City. Chippewa Falls soon became the county seat. The Town of Tilden lies on the Northwest boarder of Chippewa Falls. The close proximity of Chippewa Falls to Tilden was a desirable feature for people living in Tilden. Tilden grew to 1313 in 1890, then to 1413 in 1900 and then there was a drop to 1334 in 1910. This still shows a substantial growth from its 143 voters in 1884. People of Tilden still consider this close proximity to Chippewa Falls as one of its most desirable features. For a more complete History of the Town of Tilden, the book, “Living Among Tradition,” by Tina Susedik has much more detail. Much of the information contained in this history report comes from that book along with Town records.